This beautifully upgraded home sits atop the Caughlin Ranch foothills with expansive, breathtaking views of the city and valley! 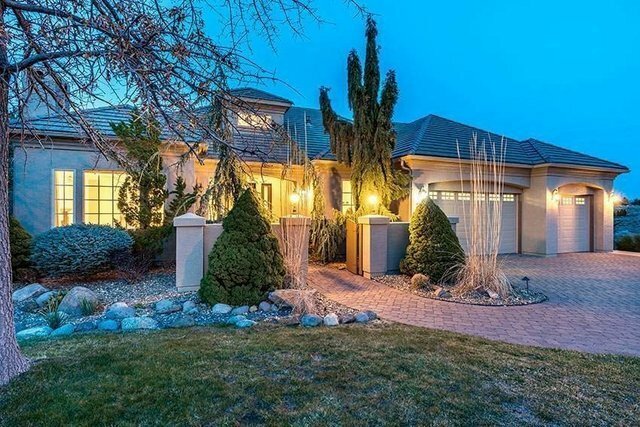 Located in the prestigious and gated Mountain Shyre, this elegant stucco homes boasts a large 3 car garage, two master suites and fresh neutral two-tone int/ext paint. The foyer has towering ceilings and chandelier, and the main floor has an office and master bedroom, highlighted by high ceilings, travertine floors and large panel windows to accentuate the view.